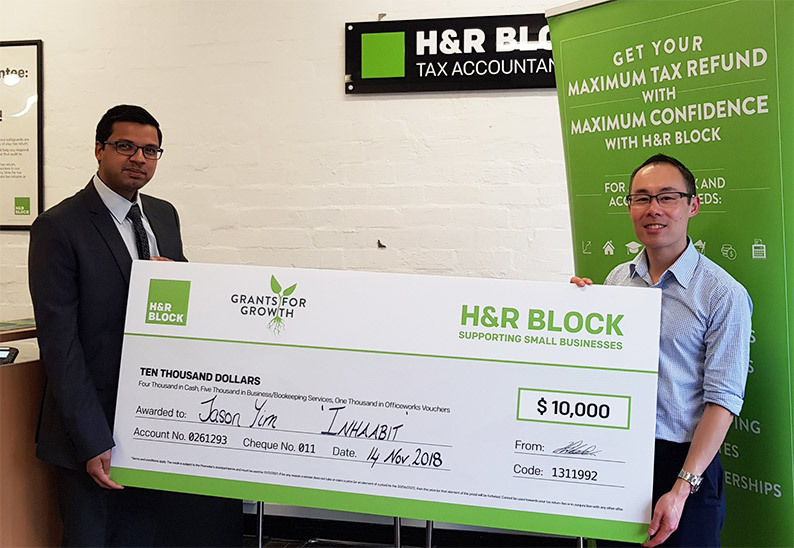 INHAABIT is proud to be a winner in H&R Block’s Grants For Growth awards in 2018. The award reflects H&R Block’s vision for new technology and their passion for supporting Australian businesses. Part of the immersive technology market, Augmented Reality, is expected to reach $55 billion industry revenue by 2021, according to Research and Markets. Global companies such as Amazon, Apple and Google are investing heavily in Augmented Reality strategies, with a key drivers being that an AR retail experience is accessible to anyone with a modern mobile phone or tablet. Learn more about the Grants For Growth competition at H&R Block.